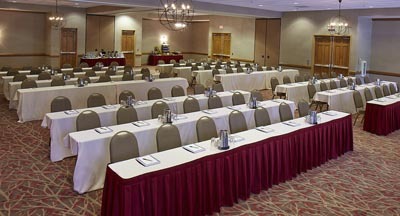 In the Area: Grand Geneva Resort & Spa, WELL Spa & Salon, The Brute & The Highlands, Dan Patch Stables, Yerkes Observatory. 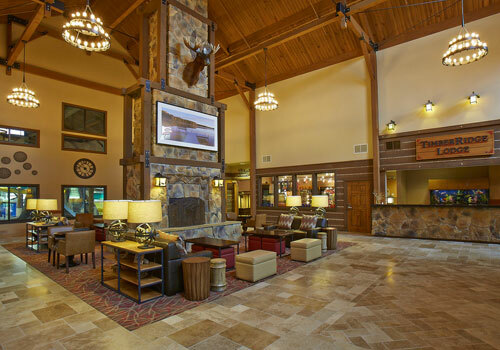 Timber Ridge Lodge at Grand Geneva Resort in Lake Geneva, Wisconsin, is the only all-season, all-suite destination of its kind in the Midwest. With an arcade, food fit for a kid, and access to all that the Grand Geneva Resort has to offer, you're never at a loss for activity. 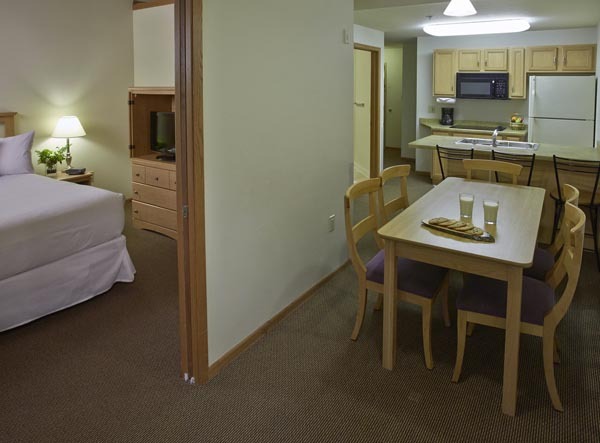 When it's finally time to call it a day, settle into a spacious suite, complete with a fully equipped kitchen, whirlpool bath, private bedrooms, and fireplace. 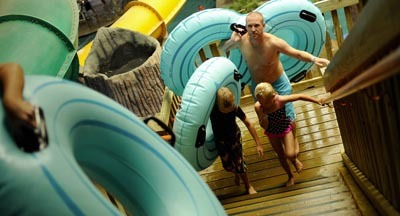 Featuring 50,000 square feet of year-round, indoor/outdoor waterpark excitement at Moose Mountain Falls Waterpark, Timber Ridge Lodge is a family bonding adventure that's soaked in memories. Lay back and relax in the more than 500-foot-long lazy river, or face your fears and take on the 35-foot-high slides with 300 feet of twists and turns! 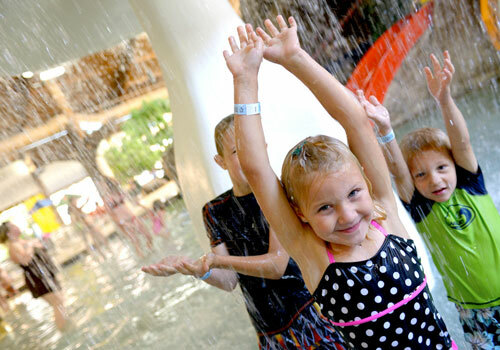 Our waterpark is the perfect place to celebrate with a splash! Host your child's next birthday party with Bruce the Moose and all his friends. Leave the decorating to the Timber team while your group has a blast, when you book a special birthday package. 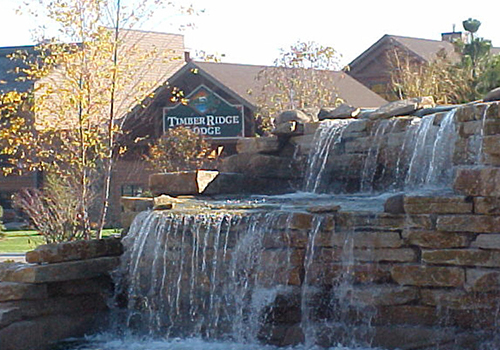 Take advantage of all that Grand Geneva Resort & Spa has to offer when you stay at Timber Ridge. Relax and rejuvenate at the WELL Spa + Salon, hit the slopes at the Mountain Top, or play a few holes on The Brute or The Highlands.